They came together to play some songs for the Christmas In The Park and hit it off. Over the summer a new Thames band have pooled together a night’s worth of songs and are playing their first public show at Brew in Thames. 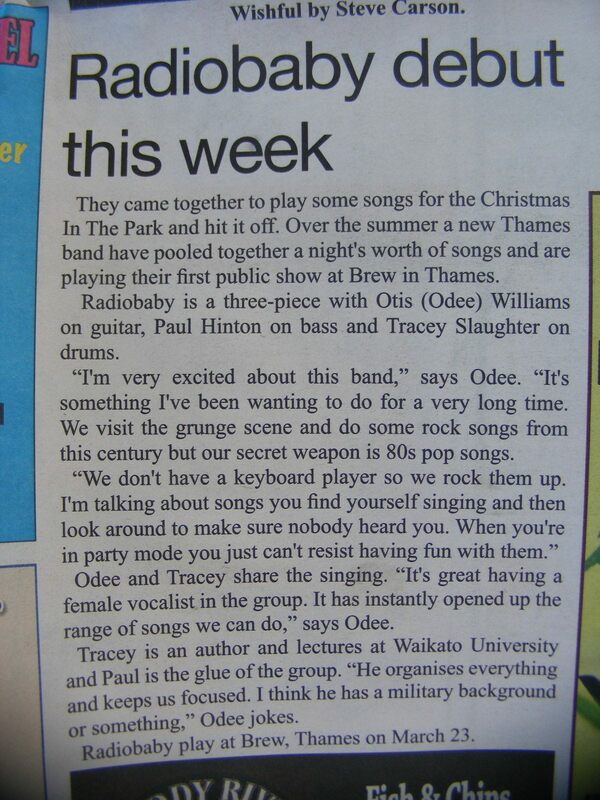 Radiobaby is a three-piece with Otis (Odee) Williams on guitar, Paul Hinton on bass and Tracey Slaughter on drums. “I’m very excited about this band” says Odee. “It’s something I’ve been wanting to do for a very long time. We visit the Grunge scene and do some rock songs from this century but our secret weapon is 80s pop songs. We don’t have a keyboard player so we rock them up. Odee and Tracey share the singing. “It’s great having a female vocalist in the group. It has instantly opened up the range of songs we can do,” says Odee. Tracey is an author and lectures at Waikato University and Paul is the glue of the group. “He organises everything and keeps us focused. I think he has a military background or something,” Odee jokes. 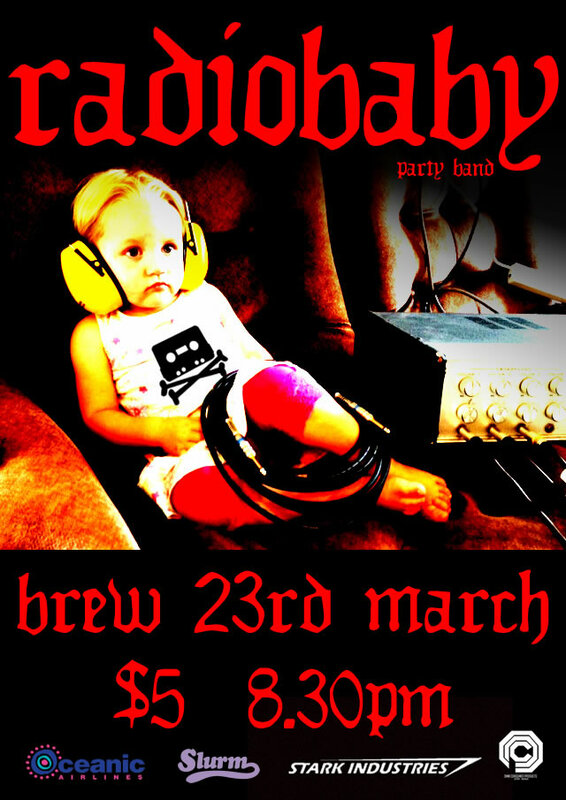 Radiobaby play at Brew, Thames on March 23.